Hello and welcome to the 7th week of #SaturdaySiblings with me and Harriet from Toby and Roo. We are now seeing so many people joining in each week and – so many wonderful pictures. I apologise if I have missed commenting on anyone’s pics over the last week. If I miss you this week, tag me and give me a nudge! I do tend to comment on the pics that are posted between 9pm Friday and midnight Sunday, as that is when the linky runs. If you would like to use the hash at another time in the week, that’s great, but we might not get to comment on all of those posted outside the timeframe. Siblings bonding and interacting with one another is a joy for any parent to watch. 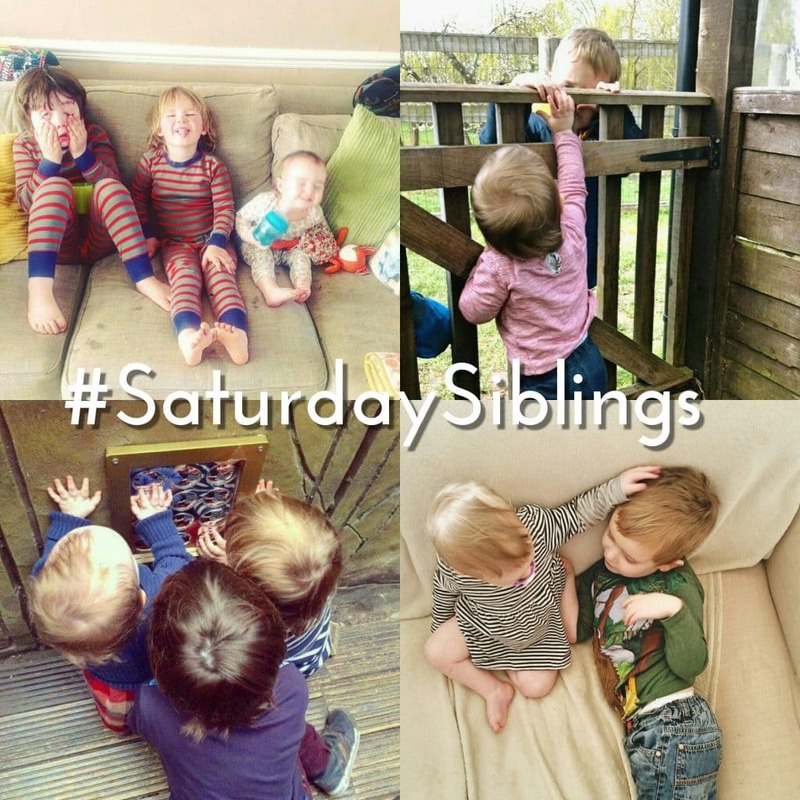 At #SaturdaySiblings, we are interested in all sorts of sibling moments – from perfect pictures with angelic smiles, to those slightly blurred shots when you shout “I’ve got to try to get a picture of that!” through tears of laughter – we want to see them all! If you link up here, either Harriet or I will comment on your posts. We will try to comment on as many as we can on Instagram too. We will also be picking our favourite images to share and regram on social media on Fridays – so make sure you’re following us to get a chance to be featured. So grab a badge, link up, gram and hashtag and we hope you enjoy looking at the photos as much as we know we will. The linky opens at 9pm. Please comment on both the host posts and another of your choosing, more if you can. Please grab the badge above and add it to your post. If you would like Harriet and I to retweet your posts, please do add and tweet us on Twitter (@tobyandroo and @MumSomeone) and we will oblige! Generally share the love, however you join us. And that’s it! Happy linking. We can’t wait to see your photos!